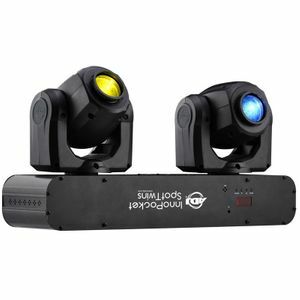 The Inno Pocket Spot Twins features two mini Moving Heads on a mounting bar. 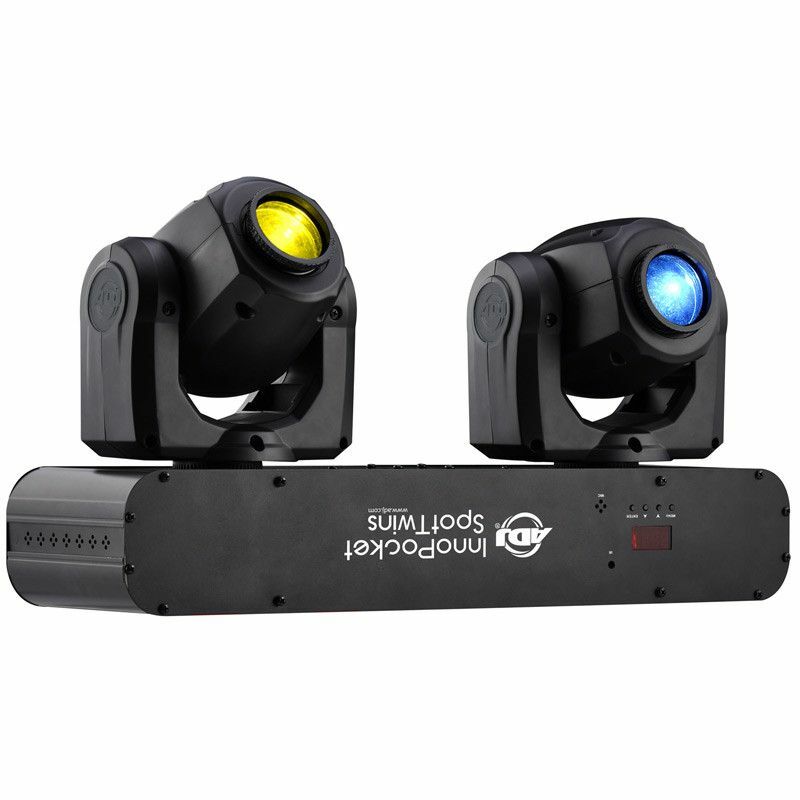 Each Moving Head operates independently and features bright 12-Watt LED sources. Compatible with the ADJ Airstream IR App.